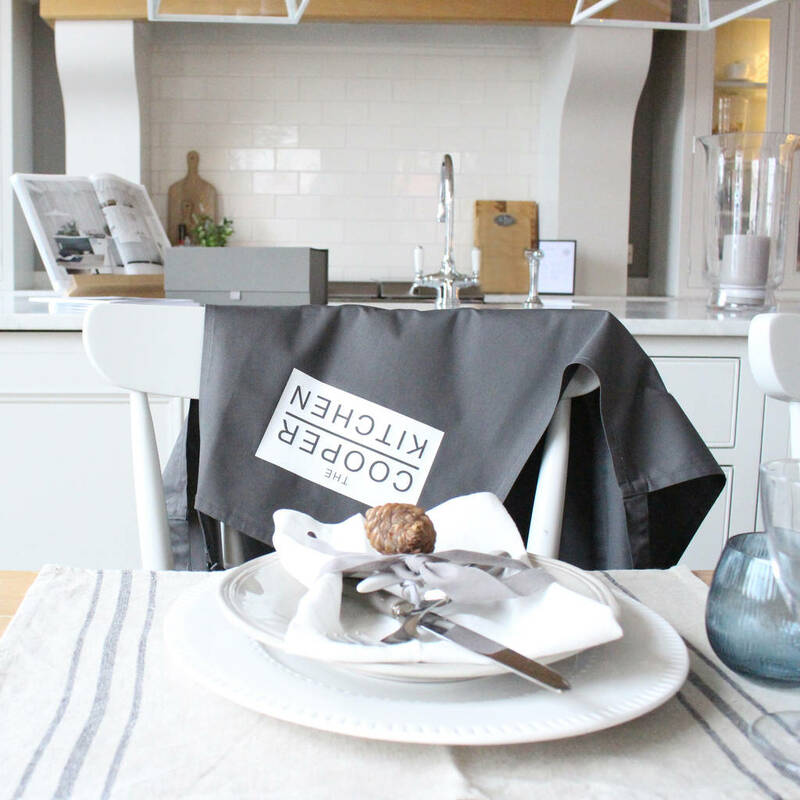 'The Surname Kitchen' Personalised Family Apron. We all have that one apron that everyone in the family uses when its their turn to cook! So why not personalise it with the family name. They make a great gift for Mums, Dad, Grandparents and friends, as Housewarming gifts, for Birthdays or Christmas. 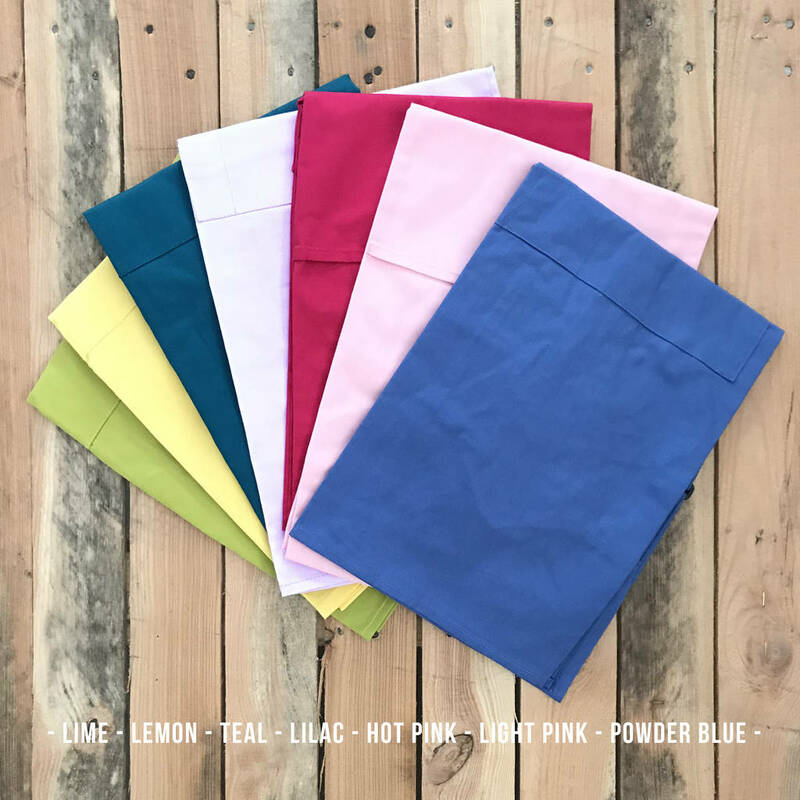 They also make a lovely gift for Cotton Anniversaries. 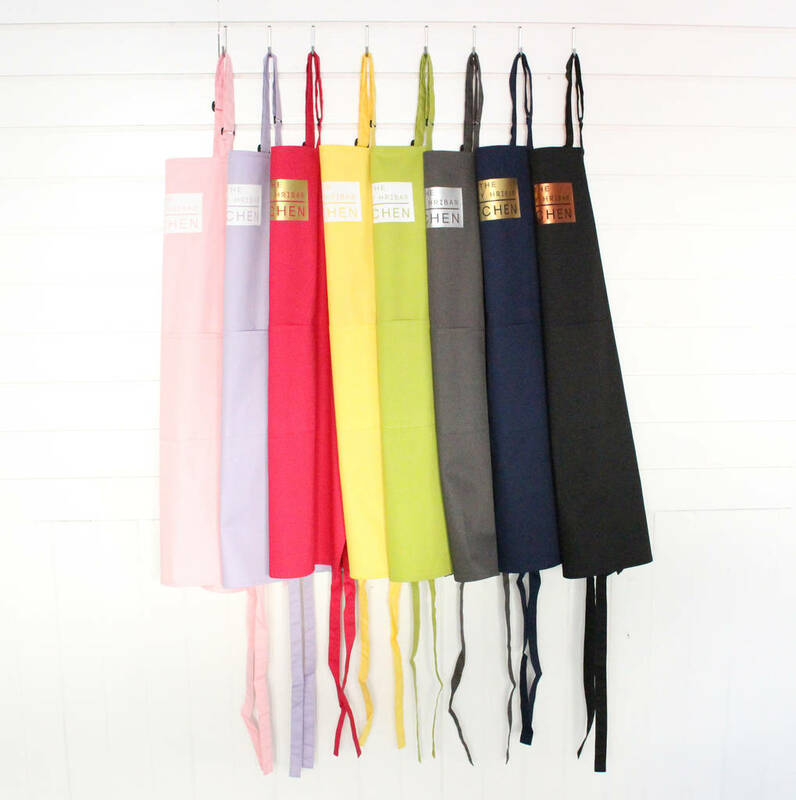 Pick the Apron colour and print colour to best suit you and your kitchen. 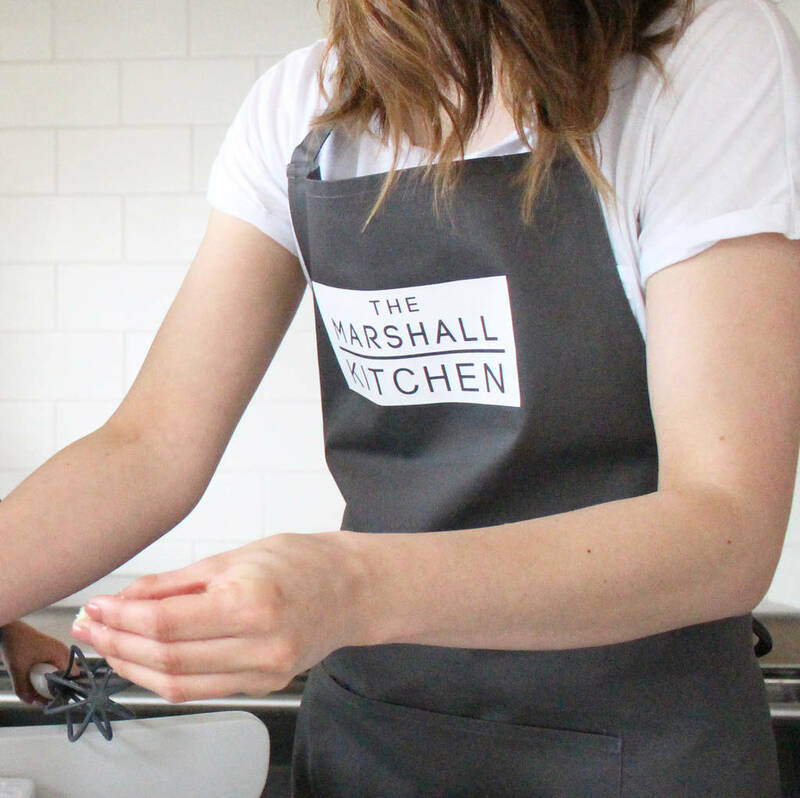 Our classic aprons have a large pocket with side pocket, perfect for Spoons or other small essentials when cooking. 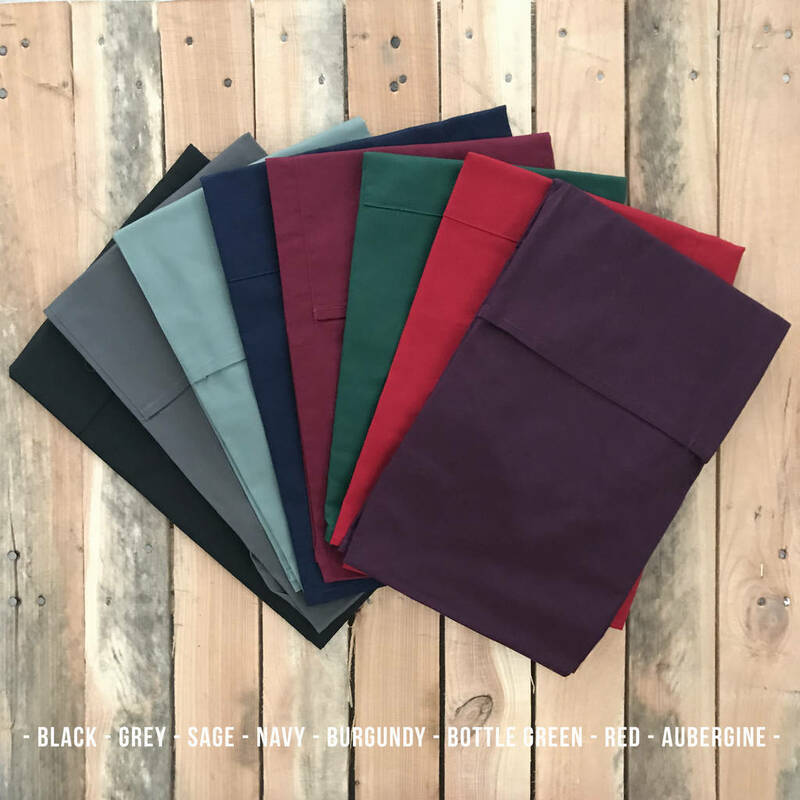 65% Polyester, 35% Cotton twill. Adjustable neck strap and fabric ties. One size. 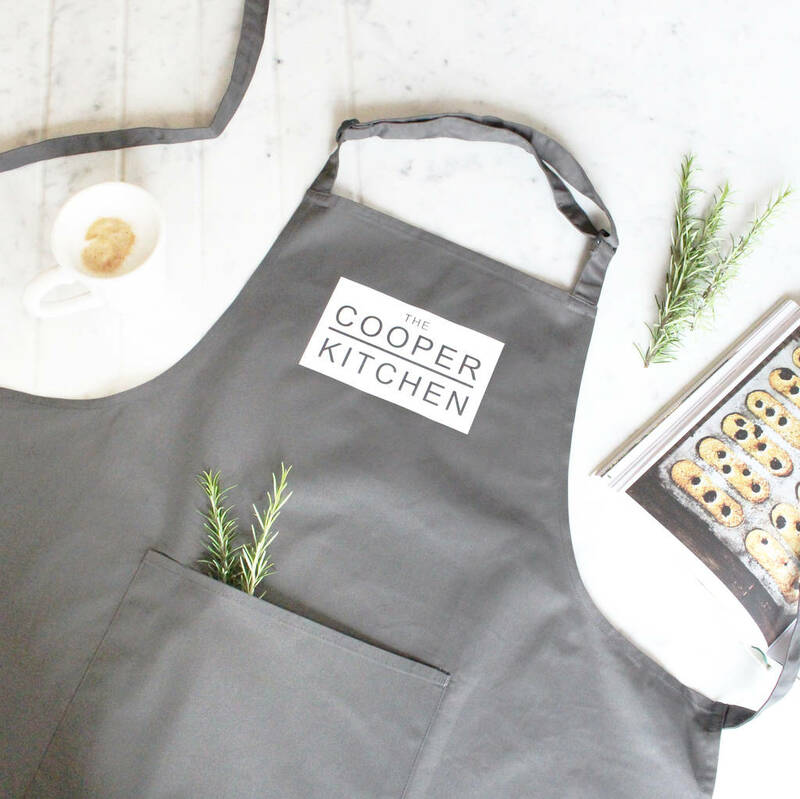 Our aprons are sent to you in postal boxes to ensure they travel safely to your door, and only one postage charge will be applied at checkout when you order multiple items from PLP.